Absorb yourself in the deep, vibrational sounds of ancient gongs while embarking on your journey of sensation through the cakras. 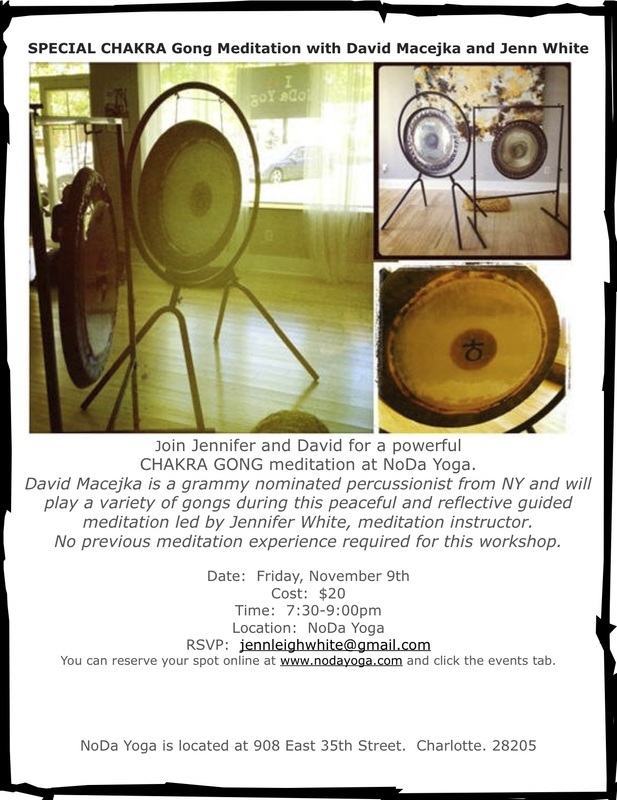 Grammy nominated percussionist and artist David Macejka will work his magic on the gongs while Jenn White gracefully guides you with a meditation through the seven cakras. Join us for this unique experience that will include a 40'' Feng Chinese Gong, along with 7 handmade Tibetan Cakra Gongs.